In March 2015, Lecretia Seales filed a statement of claim to the High Court of New Zealand, alleging that the Crimes Act did not prevent her receiving aid in dying from her doctor, and that should her doctor choose to assist her, they should be free from prosecution. Lecretia sought a declaration from the court that her doctor would not be prosecuted, or that a prosecution under the Crimes Act would be inconsistent with the Bill of Rights Act. In April, the Care Alliance, the Human Rights Commission and the Voluntary Euthanasia Society successfully applied to intervene in the case of Seales v Attorney General on a limited basis. In May, the hearing was conducted in the High Court of Wellington under the supervision of Justice David Collins. The hearing lasted three days. In June, Justice Collins delivered his judgment. An interim judgment was delivered to Lecretia’s family on the 2 June, and the full judgment on 4 June. The judgment was made available to the public on 5 June. Lecretia passed away from the symptoms of her cancer on the 5 June. 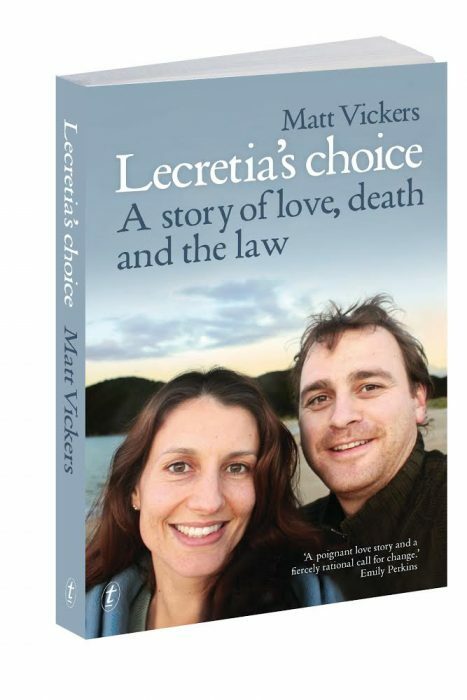 Justice Collins did not issue the declaration Lecretia sought but the Lecretia’s case was successful in establishing key facts and findings and did much to dispel some of the myths and unsubstantiated assertions in the assisted dying debate. The purpose of this summary is to provide a valuable resource of key documents to the Health Select Committee. Palliative care cannot provide relief from suffering in all cases. Persons with terminal illnesses may take their lives early, while they retain the ability to do so. Health professionals’ views on the ethics assisted dying of assisted dying are not unanimous. Lecretia’s assertion that she was not vulnerable must be respected. First, palliative care cannot necessarily provide relief from suffering in all cases. The limits of palliative care were explained by Ms Seales’ principal oncologist, experts who provided evidence in support of Ms Seales’ case and some of the experts relied upon by the Attorney-General. However, some of the palliative care specialists who provided evidence at the request of the Attorney-General believe that Ms Seales’ suffering may be successfully managed through palliative care. Palliative treatment with steroids has undesirable side effects and is of limited effectiveness. [43(1)] First, the administration of steroids to reduce the effect of intracranial oedema has a number of very undesirable side effects. One side effect is a massive weight gain. Ms Seales has already begun to suffer this side effect. Steroids can also impair a patient’s sleep, induce mood and behavioural changes and predispose patients to stomach ulcers and bleeding. (2) Second, stopping or reducing steroids is likely to cause Ms Seales to suffer severe headaches until she dies. Professor Ashby has explained these headaches “tend to be difficult to control by morphine or other pain killers”. Second, experts who gave evidence in support of the case brought by Ms Seales and some of the experts who supported the position adopted by the Attorney-General agreed that pain is highly subjective. This means that Ms Seales’ perception of her pain is unimpeachable. Third, Ms Seales’ circumstances are such that palliative care may not ameliorate her physical pain. I have reached this conclusion by relying primarily on the evidence of the experts who have given evidence on behalf of Ms Seales because they tailored their evidence to her particular circumstances. Fourth, many of the experts, including those relied upon by the Attorney-General accept that palliative care may not be able to address Ms Seales’ psychological and emotional suffering. See also reference to Dr Y at . Evidence to support the proposition that people in Ms Seales’ circumstances may shorten their lives can be found in the evidence of Dr Weaver, an historian from Canada who, together with Dr Munro, conducted extensive research into suicides in New Zealand between 1900 and 2000. That research suggests that between three and eight per cent of suicides in New Zealand during the last century were by persons who were rational, competent and suffering a terminal illness. A number of the cases studied by Drs Weaver and Munro revealed suicides where the deceased persons took their lives when they retained the ability to do so, rather than waiting for their illnesses to cause further debilitation. Ms Seales’ desire to control the final stages of her death is a common trait amongst those in society who consider themselves to be successful and driven. This trait was explained by Professor Owens, who said that people with Ms Seales’ personality traits “frequently find the effects of an illness [of the kind suffered by Ms Seales] particularly intolerable because of the loss of autonomy and inability to manage their lives is directly contrary to the things they value”. The approach of Ms Seales’ doctor resonates, however, with the experiences of Drs Grube and Reagan, who provided evidence about their experiences in Oregon of being willing to assist terminally ill and competent patients to end their lives. In their experiences, patients in Ms Seales’ circumstances feel empowered and reassured knowing that they can choose the time and surrounding circumstances in which they die. Drs Grube and Reagan explained that their patients were often reassured by the knowledge that they had the option of having their doctors assist them to die, even if that option was not ultimately pursued. Both doctors also gave examples of terminally ill patients who died in a peaceful and controlled manner through taking a prescribed lethal medication while surrounded by their families and loved ones. In the present case, Ms Seales has consistently maintained that she is not vulnerable in any of the senses referred to by Dr Kleinsman. She says that, notwithstanding her medical condition, her wishes have been carefully considered and reasoned. Ms Seales’ self-assessment that she is not vulnerable is endorsed by her doctor, who has consistently said Ms Seales is pursuing her requests in a positive, rational manner without showing any signs of depression or lack of full appreciation of her circumstances. Ms Seales’ statement of her belief that she is not vulnerable must be respected. Ms Seales’ application for the declarations she seeks is a rational and intellectually rigorous response to her circumstances. Ms Seales is dying from a brain tumour. She is 42 years old and may have only a short time to live. When this proceeding was commenced on 20 March 2015 it was estimated Ms Seales could expect to live approximately three to 18 months.15 Ms Seales’ principal oncologist explained, however, that predicting the life expectancy of a person in Ms Seales’ circumstances is difficult because brain tumours vary greatly in their rates of growth and impact. Ms Seales’ doctor is willing to take either of these steps, but will not do so unless she can be assured she would be acting lawfully if she acceded to either of Ms Seales’ requests. Ms Seales’ brain tumour was diagnosed in March 2011. Since then Ms Seales has undergone surgery, courses of chemotherapy and radiation treatment. Despite this treatment, the brain tumour from which Ms Seales suffers is inoperable and will cause Ms Seales’ death unless she dies from some other intervening event. By the time of the hearing Ms Seales was partially paralysed on the left side of her body, visually impaired and dependent on others for many day-to-day needs. Ms Seales continues to suffer from fatigue and has difficulty swallowing liquids. In addition, Ms Seales is suffering the side effects of steroids, which have been administered to her to reduce the effects of intracranial oedema caused by her brain tumour. While Ms Seales’ body is rapidly physically failing, her mind continues to function without impairment. Ms Seales’ approach to her final stages of life are best explained by quoting her own words from her first affidavit in this proceeding (quotes 47-55 of Lecretia’s first affidavit). (1) She has not been coerced and no one has applied any pressure on her to seek confirmation that her decision to end her life with the assistance of her doctor will be respected. (2) She has not been influenced by her doctor’s views. On the contrary, it was Ms Seales who approached her doctor to ask her for assistance to end Ms Seales’ life. (3) She is not depressed or mentally compromised. There were a number of points that were supported by the evidence supplied by Lecretia Seales and by the evidence supplied by the Attorney-General. The unavailability of AID causes premature death in some terminally ill patients. More detail is provided below. Dr Y: for Lecretia, loss of physical and mental capacity, behavioural changes and psychological impacts can only be ameliorated by palliative care to a minimal extent (at , second affidavit at ). Dr Michael Ashby: palliative care has made great advances in recent decades, however, in some cases nothing can be done to ease the patient’s suffering or increase their quality of life, no matter how skilful the team of palliative carers (at -; reply at [4(b)], -). Dr Rajesh Munglani: despite best practice palliative care, and the recent advances in palliative medicine, as a pain specialist Dr Munglani sees patients who are severely distressed. In some cases, the distress experienced by these patients is beyond the realms of medicine (at , , ). Richard Glynn Owens: assertions that palliative care can fully alleviate a patient’s suffering are not consistent with his experience (reply at -). Palliative care is not the answer for those patients who are experiencing unendurable suffering (reply at ). Dr Elizabeth Smales: for most people, palliative care is exactly what they need, however, some patients experience pain that is difficult to control while they are conscious. Other symptoms aside from pain can also be difficult to manage through palliative care eg loss of independence, incontinence (at  , , ; reply at [3(b)]). Dr Eric Kress: some patients have a hard death, regardless of palliative care (at ). Udo Schuklenk: noted that the ‘Report of the Royal Society of Canada Expert Panel: End-of-Life Decision Making’ concluded that palliative care should not negate the need for AID in appropriate circumstances, in part, because palliative care cannot help all patients (at ). Dr Simon Allan: “it is not possible to say that all symptoms and pain can always be treated and the patient maintain conscious with quality of life” (at ). Dr Harvey Chochinov: states that palliative care “can now attend to most sources of symptom distress” (ie not all), although that may involve “having to sacrifice conscious awareness” (at ), and palliative care will “never be the perfect foil to suffering” (at ). Dr Sinead Donnelly: states that “intractable pain is extremely rare”, acknowledging that it does exist (at ). She also attaches the position statement of the Palliative Care Council which acknowledges “it is not always possible to completely relieve suffering, but good palliative care improves the experience of living with and dying of a terminal condition” (at ). Baroness Finlay: palliative care is not a panacea for terminal illness. It is always possible that a patient will have suffering beyond the realms of science (at , , , ). Dr Roderick MacLeod: “it is not possible to say that all pain in all cases can be removed, however in most cases palliative care is able to effectively manage or alter pain” (at ) and “relief of pain will not always relieve suffering” (at ). Dr Tony O’Brien: “modern pain medicine can provide significant control of symptoms to the vast majority of patients” (at ). Dr Y: psychological impacts can only be ameliorated to a minimal extent (second affidavit, at ). Dr Michael Ashby: palliative care teams must acknowledge that the treatment of psychological suffering in end of life patients is very limited (at ). Richard Glynn Owens: people who are driven, organised, and perfectionist tend to find the effects of terminal illness particularly intolerable because autonomy and self-sufficiency (highly valued qualities) are likely to be considerably affected by their illness. Palliative psychology is less effective for this class of people, particularly where the timeframe for treatment is short (at -). Dr Elizabeth Smales: psychological suffering can be complex and intense (at ). Dr Sandy Macleod: states that psychiatry is an underdeveloped component of palliative care (at ). Dr Roderick MacLeod: the psychological, spiritual and social aspects of pain are difficult to identify and treat, as compared to physical pain. Relief of pain will not always translate into the relief of suffering (at -). Dr Tony O’Brien: there is no drug therapy that can treat spiritual anguish or distress (at ). Dr Michael Ashby: in some cases, the only available method for treating pain is palliative sedation (at -, , ). Dr Rajesh Munglani: where other methods fail, the only guaranteed way to relieve pain is palliative sedation (at ). Dr Elizabeth Smales: in some cases a patient will experience so much pain and suffering that the only way to effectively manage their pain is to sedate them. Sedatives are carefully titrated to achieve the maximum therapeutic effect with the lowest dose possible, however, for some patients this process inevitably leaves them unconscious until death (at -; reply at [3(d)]). Dr Simon Allan: not all pain and symptoms can be treated while the patient is conscious, and still has quality of life. He also states that palliative sedation is indeed necessary in some instances (at , ). Dr Harvey Chochinov: it is sometimes necessary to sacrifice consciousness to manage physical suffering (at , ). Dr Roderick MacLeod: pain cannot be removed in all cases, citing World Health Organisation statistics that pain can be relieved in 90% of cases (at ). Michael Ashby: Two of his patients ended their lives by taking an overdose of medication while they were still physically able to organise the combination of drugs and take them without the assistance or knowledge of others (at ). Richard Glynn Owens: Because AID was unavailable, Mrs Short suffered a prolonged and distressing death following her decision to refuse food and fluids (at ). Elizabeth Smales: A liver cancer sufferer shot himself in circumstances where he was already ill and frail and was frightened of becoming too frail to be able to take his own life (at  to ). Phillipa Malpas: Gloria took her life by refusing hydration, and told Malpas that having Nembutal in her cupboard may have given her more time (at ). Person A: Person A’s wife told him that her lifespan was extended by having the means to end her life peacefully and at a time of her choosing. It is highly likely she lived a whole year longer than she would have, had she not had Nembutal in her possession (at  and ). David Grube: Found the body of his neighbour who had shot himself in order to avoid suffering from terminal cancer, and whose death may have come much later if AID were available (at ). Dr Eric Kress: the first patient to request AID from him appears to have committed suicide by stockpiling medications and putting them down his feeding tube (at ). Baroness Finlay: is aware of three suicides of patients in palliative care over the course of her career (at ). Dr Sandy Macleod: recalls “a few” terminally ill patients who committed suicide. They were “men of action who used violent methods” (at ). Richard Glynn Owens: having the ability to control how death will occur can in and of itself lessen a patient’s psychological suffering and increase quality of life because it gives them peace of mind (at ). Dr Raymond Grube: reports that those of his patients who received prescriptions reported an enormous therapeutic benefit due to decreased anxiety and increased control. That therapeutic benefit lasted until death (at -; reply at -). Dr Katherine Morris: both patients Dr Morris prescribed lethal medication to reported lower levels of anxiety and that they felt relieved (at ). Dr Peter Reagan: possession of a lethal prescription provides a meaningful and lasting reduction to a patient’s distress (at ; reply at ). Dr Sandy Macleod: referring to the Oregonian patients who hold a lethal prescription but do not end up ingesting it, he suggests that an explanation for this phenomenon may be that having the prescription causes these people to feel less trapped, and as such they are able to keep going (at ). Richard Glynn Owens: having obtained a prescription, and obtained a therapeutic benefit from simply holding it, a person may choose not to ingest the drug. Holding the prescription does not necessarily mean that the patient will use it; they may have other alternatives available that would also lead to a good quality death (at [20(c)-(d)]). Dr Raymond Grube: in Oregon, about two thirds of patients who obtain prescriptions go on to use them (at ). Dr Katherine Morris: in Oregon, having obtained a prescription, only two thirds of patients actually use it. In Dr Morris’s experience of prescribing under the Death with Dignity Act 1997, she was confident in both cases that the patient wanted the prescription, but she did not know whether they would actually use it (at ). Dr Peter Reagan: 64% of those who receive a prescription in Oregon use the medication (at ). Dr Harvey Chochinov: in Oregon, despite popular support for AID, only 0.5% of patients avail themselves of the services (at [77.1]). Dr Sandy Macleod: in Oregon, 17% of patients are interested in AID and 1-2% request a prescription. Of those who obtain a lethal prescription, 36% of patients die without using it (at ). Richard Glynn Owens: there is a clear distinction between suicide and rational decisions to die, and this is recognised by the academic literature. People who make rational decisions to die are not depressed or otherwise exhibiting symptoms of mental illness, are often intelligent and analytical people, and feel the need to exercise control over their future to the greatest extent possible (at -; reply at ). the consequences of the processes are different: suicide leaves family members distraught and emotionally traumatised; research from Oregon and Washington shows that family members of patients who make RDD do not suffer the same mental health effects (see also Owens at ; Reagan at ); patients saved from suicide often go on to live long and productive lives; RDD patients who are denied AID will only live a little longer, frustrated by that denial and often suffering horrifically (see also Owens at [12(d)]). Dr Harvey Chochinov: there will always be people who will want the option of AID when they are approaching death, no matter how good their palliative care (at ). He also acknowledges that a wish for death can and does arise in the absence of a depressive disorder (at [60.1]). Dr Sandy Macleod: outlines the circumstances in which a will to die is rational, in the context of people who decline treatment. They: (at ). are not under any undue external influence. Dr Tony O’Brien: some terminal patients make clear and consistent requests for death in the manner of their choosing. These patients do not exhibit the symptoms of depression or other mental illness. They are usually intelligent, controlling and analytical people (at -). Dr David Grube: does not consider aid in dying to be inconsistent with palliative care; for the suffering patient who has no other treatment options, aid in dying is the ultimate comfort. Oregon’s data shows that palliative services have actually expanded and more patients than ever who consider aid in dying are under hospice care (reply at -). Dr Katherine Morris: AID does not have to come at the expense of palliative care. Access to AID may actually lead to better engagement with palliative care (at -). Dr Peter Reagan: palliative care improved after Oregon’s law change, AID is an important addition to palliative care for those who want it (reply at , ). Dr Eric Kress: hospices still continue to provide services to patients utilising AID as they always have. Care through the dying process continues to be the primary treatment objective. The change to palliative care as a result of AID is a positive one (at , ). Dr Linda Ganzini: the research from Oregon shows that access to AID has not had a negative impact on hospice and palliative care services, in fact there have been improvements since the passing of the legislation (Ganzani 2 at -). Dr Simon Allan: if AID was legalised ‘business as usual’ (ie palliative care providers) would be affected very little (at ). Dr Peter Reagan: the most important benefit of AID is that it allows patients to have meaningful conversations with their loved ones about how they wish to spend their final days. In the time before AID was legalised, it was much more difficult to have these conversations, largely because the patient was frightened of implicating their family or physician in their death (at -). Dr Harvey Chochinov: physicians may feel that engaging in a conversation about a patient’s wishes to die may leave them compromised in that they do not want to be an accessory to a crime, nor do they wish to feel impotent because they are unwilling to hasten the patient’s death (at ). Dr Katherine Morris: Dr Morris states that at the time of writing the prescription she did not know that her patients would actually ingest the drug. Her intention was to improve her patient’s quality of life (at ). Dr Peter Reagan: the therapeutic benefit of AID is experienced by friends and family of terminally ill patients, as well as by the patients themselves. Understanding the reasons for a patient’s decision is important for their family, no matter what the patient chooses to do (at ). Dr Frank Spring: the purpose and effect of writing a prescription under Oregon’s Death with Dignity Act 1997 is to alleviate distress, death is secondary to the benefits obtained from the patient’s knowledge that they have control over their death. At the time of writing the prescription it is not clear that death will actually occur as a result of the prescription (at ). the good effect does not occur through the bad effect. The Attorney-General’s case was primarily argued on a legal point: that the law did not permit aid in dying as written and it was not possible to read it as such. In his ruling, the judge agreed with the Attorney-General. But in addition, the Crown made two assertions: that palliative care was sufficiently effective for patients like Lecretia and that the availability of aid-in-dying introduced several risks. The judge did not agree with the Crown on palliative care, declaring that palliative care may not be effective for Lecretia, and that it would certainly not be effective in all cases. He did not make a ruling on all of the alleged societal risks of aid in dying. The evidence against these alleged risks is given below. While palliative care seeks to holistically address end-of-life suffering, and great advances have been made over recent decades, it will not be effective at alleviating suffering for every person in all circumstances. Affidavit of Dr Y No 1 at ; affidavit of Dr Y No 2 at ; affidavit of Michael Ashby at  – ; affidavit of Rajesh Munglani at , , ; affidavit of Elizabeth Smales at , , , ; reply affidavit of Michael Ashby at [4(c)], ; reply affidavit of Rajesh Munglani at , ; reply affidavit of Richard Glynn Owens at , , ; reply affidavit of Rajesh Munglani at RM1, pgs 3-9; reply affidavit of Elizabeth Smales at [3(b)]; affidavit of Eric Kress at ; affidavit of Udo Schucklenk No 1 at . Affidavit of Harvey Chochinov at , ; affidavit Sinead Donnelly at , ; affidavit of Ilora Finlay at , , , ; affidavit Roderick MacLeod at . Pain is highly subjective and can only be assessed accurately by Lecretia herself. Reply affidavit of Michael Ashby at , ; reply affidavit of Richard Glynn Owens at . Affidavit of Illora Finlay at ; affidavit of Roderick MacLeod at . The problems caused by brain tumours (due to oedema) may continue to worsen even with the limited benefit of high dose steroids (ie, weakness, neurological deficits, loss of mental acuity and independence, inability to move, talk or swallow). Perfectionist tendencies, resolve, independent character, intellectual achievement and life of action are likely to make psychological and emotional suffering from loss of autonomy and dignity unacceptable (and such suffering is unlikely to be effectively treated by palliative care). Affidavit of Dr Y No 1 at ; affidavit of Dr Y No 2 at ; affidavit of Michael Ashby at , ; affidavit of Rajesh Munglani at , , ; affidavit of Richard Glynn Owens at ,  (note that perfectionism is a speciality of his); affidavit of Elizabeth Smales at , ; reply affidavit of Richard Glynn Owens at . Lecretia’s brain tumour (and related swelling) is likely to cause severe pain which may not be able to be addressed (when steroid treatment stops or ceases to have effect). Affidavit of Lecretia Seales No 2 at ; affidavit of Michael Ashby at  – ; affidavit of Rajesh Munglani at ; affidavit of Elizabeth Smales at , ; second affidavit of Michael Ashby at . Lecretia is already suffering from: paralysis on her left side (loss of arm, leg, hand); inability to walk (reliance on wheelchair); inability to do basic day-to-day tasks (dress, cook); suffers falls (and related injuries); cannot see left of centre (nor drive); suffers double vision, fatigue, headaches and shooting pain in left buttock; struggles to swallow liquids; can only shower with assistance from her mother. Affidavit of Lecretia Seales at -; affidavit of Lecretia Seales No 2 at ; affidavit of Dr Y at , affidavit of Dr Y No 2 at , . Possible further symptoms may include: advancement of symptoms referred to above, consciousness impairment, and other neurological type pain; seizures; loss of mental faculties; perceptual and motor difficulties; complete loss of mobility (and total dependence on others); difficulty swallowing with associated choking, loss of speech; incontinence, extreme fatigue; disassociation and drowsiness. Affidavit of Lecretia Seales No 2 at ; affidavit of Dr Y No 1 at ; affidavit of Michael Ashby at , ; affidavit of Rajesh Munglani at ; affidavit of Richard Glynn Owens at , . Many of Lecretia’s physical symptoms cannot be addressed (eg, swallowing, loss of sight, paralysis; loss of ability to communicate, loss of mental capacity), even with pharmalogical means and physical aids despite advances in palliative care. Affidavit of Lecretia Seales No 1 at ; affidavit of Dr Y No 1 at ; affidavit of Dr Y No 2 at ; affidavit of Michael Ashby at ; reply affidavit of Lecretia Seales No 2 at [4(c)]; reply affidavit of Michael Ashby at . Only steroids are suitable to treat Lecretia’s symptoms from intracranial oedema (being difficult to control with morphine and other analgesics), but often only have a short-lived effect and have serious side effects: constant insatiable hunger and resultant weight gain, broken sleep (all of which Lecretia is already experiencing); anxiety, depression, agitation, insomnia, muscle deterioration, increased blood pressure, gut ulcers and bleeding. Affidavit of Lecretia Seales No 2 at ; affidavit of Michael Ashby at  – ; affidavit of Rajesh Munglani at ; affidavit of Elizabeth Smales at , . Morphine and other opiates may supplement steroids but have their own negative consequences: nausea, vomiting, drowsiness, somnolence, sedation, confusion, severe constipation, cognitive dysfunction, memory problems, personality changes; dry mouth; hallucinations; restlessness; urinary retention. These are not suitable for Lecretia as she wishes to remain conscious – not in a drugged haze. Affidavit of Lecretia Seales No 1 at , ; affidavit of Michael Ashby at , ; affidavit of Rajesh Munglani at ; affidavit of Elizabeth Smales at  – . The symptoms which may be addressed (eg, mobility issues, agitation, breathlessness, incontinence and choking episodes) are only likely be treated with varying degrees of acceptable outcomes and many only to a minimal extent. Affidavit of Lecretia Seales No 1 at ; affidavit of Dr Y No 1 at ; affidavit of Dr Y No 2 at ; affidavit of Michael Ashby at ; affidavit of Elizabeth Smales at . Towards the end of life, Lecretia’s brain will be forced down the forum magnum (coning) which will likely require sedation. Affidavit of Michael Ashby at , ; affidavit of Elizabeth Smales at . Palliative care has significant limitations in respect of psychological and emotional suffering (which suffering may be intense). Affidavit of Dr Y No 1 at ; affidavit of Dr Y No 2 at ; affidavit of Michael Ashby at  – ; affidavit of Richard Glynn Owens at , ; affidavit of Elizabeth Smales at ; reply affidavit of Michael Ashby at [4(e)]; reply affidavit of Richard Glynn Owens at . Affidavit of Rod MacLeod at , ; affidavit of Tony O’Brien at . Psychological suffering that may affect Lecretia includes: feelings of hopelessness; suffering from lack of independence; nightmares; fear; anxiety; depressive symptoms (low mood); behavioural changes. Affidavit of Dr Y No 1 at ; affidavit of Michael Ashby at ; affidavit of Richard Glynn Owens at , , ; affidavit of Elizabeth Smales at . Lecretia’s perfectionist tendencies and strong desire for autonomy and self-sufficiency mean that her psychological suffering is already significant (eg, indignities, overwhelming worry at the prospect of intolerable suffering, inability to participate in activities central to her concept of self) and is likely to worsen; that cannot be adequately addressed by palliative psychology, especially within such a short time-frame. Lecretia characteristics are found in a small group of people in palliative care than express and clear and consistent wish for AID. Affidavit of Lecretia Seales No 1 at  – ,  – , affidavit of Lecretia Seales No 2 at , , , ; affidavit of Richard Glynn Owens at , , (d); affidavit of Elizabeth Smales at , ; ; reply affidavit of Lecretia Seales No 1 at , ; reply affidavit of Richard Glynn Owens at . Affidavit of Tony O’Brien at , . Palliative care cannot address increasing dependence on others for the most basic and intimate needs; increasing suffering, indignity, loss of valued function are inconsistent with Lecretia’s identity and way she has lived – the prospect of total immobility and inability to recognise loved ones is unbearable to Lecretia. Affidavit of Lecretia Seales at  – ; reply affidavit of Lecretia Seales No 1 at , ; reply affidavit of Lecretia Seales No 2 at [4(c)]. Palliative sedation, which may be used when suffering becomes unbearable, is not suitable for everyone and, by putting Lecretia into a state of unconsciousness, does not achieve Lecretia’s desire to remain conscious and aware of her loved ones at the end of her life. Affidavit of Lecretia Seales at , ; affidavit of Michael Ashby at , ; affidavit of Rajesh Munglani at , , ; affidavit of Elizabeth Smales at , , , ; reply affidavit of Lecretia Seales No 2 at [7(a)]; reply affidavit of Elizabeth Smales at [3(d)]. Lecretia is not obliged to accept palliative care (s 11 BORA). The ability to refuse treatment exists even where this may lead to death (so Lecretia must be free to refuse unwanted treatment, including palliative care). Palliative care is not an alternative where it is unacceptable to Lecretia. The state cannot say to a citizen that he or she must use some other form of care, particularly if that would be contrary to their sense of dignity. Lecretia’s oncologist is clear about her diagnosis (Dr Y at ). Lecretia is entering the final phase of her illness where the prognosis for her life expectancy has been reduced to weeks or a small number of months. Substantial evidence of a decline of Lecretia’s condition (Seales reply No 2 at [4(c)] consistent with her prognosis. Doctors are already trusted to safeguard patients from these alleged risks in end of life decisions (Gavaghan reply at ). Generalised risk asserted cannot speak to individual cases such as Lecretia’s where the evidence is clear. The alleged risk does not apply to Lecretia. Lecretia knows her own mind, is not operating subject to coercion and has not been influenced by her doctor (Seales reply 1 at  – ; Seales reply 2 at [5(a)]; Ashby reply at [6(b)]). No evidence that coercion has been a real risk where AID is available. Crown evidence on this issue is all theoretical and / or speculative. Doctors assess consent – including coercion issues – frequently. (Owens 1 at  – ; Morris at ; Ashby reply 2 at  – ). Crown concerns also contradicted by the evidence. Evidence demonstrates coercion not a risk where legislative regimes allow AID. Ganzini’s 2007 study indicates that groups typically considered to be “vulnerable” (women, minorities, the elderly etc) are not more at risk of coercion in relation to AID (see Ganzini at , [16(a)]). Doctor practising in AID regime gives evidence that the doctor does not ever coerce the patient into AID; the patient must convince the doctor that is what they want, and they have to meet the criteria (Reagan 1 at  – ; Reagan reply, at ). In relation to burdensomeness (which is distinct from coercion), factors other than being a burden are more frequently cited as end of life concerns in individuals seeking AID In 2014 in Oregon (DWDA 2014 table). Both the Quebec Select Committee on Dying with Dignity (at 74) and the Royal Society of Canada’s expert panel (at 4.4.b) (both referred to by Gavaghan at [80(a) – (b)] have stated that they have not observed the abuse associated with the “slippery slope” in countries that have legalised AID. Lecretia Seales: reports that she has not been the subject of any undue influence by either her family or her physician in making the decision that she wants AID (reply No 1 at -). Dr Peter Reagan: never does the doctor coerce the patient into AID, the patient must convince the doctor that is what they want, and they have to meet the criteria (reply at ). Dr Sandy Macleod: states that only occasionally has he experienced families of terminally ill patients questioning whether their loved one should receive extraordinary treatment, or questioning whether their loved one should be allowed to endure the agony of their illness. It is even rarer for these questions to be persistent or determined (at ). Lecretia is not vulnerable or depressed (Dr X at , ; Seales reply 1 at ; Seales reply 2 at [5(c)]); Ashby reply at [6(e)]). Crown evidence on this issue is theoretical and / or speculative for patients such as Lecretia who is not depressed. Doctors are regularly required to assess depression (Owens 1 at ; Spring at ; Grube at ). To the extent that doctors are unsure about competence, they can consult specialists (Gavaghan reply at ). Dr X is prepared to consult specialists as appropriate (Dr X at ). It is important to distinguish fear, anger and low mood in individuals with terminal illness from clinical depression (Owens 1 at , Grube at ). An important minority of palliative patients express a clear and consistent wish to end their life. They are generally intelligent, controlling and intelligent people. Typically these patients are not depressed and they do not ordinarily exhibit features of other mental illness. (O’Brien at ). To the extent that any risks are inherent in AID, they can be minimised through a carefully designed system imposing appropriate limits. Lecretia knows her own mind, has been consistently clear about her wishes, and knows what she has asked for (Seales reply 1 at ; Seales reply 2 at [7(b)], ; Ashby reply at ). Lecretia has experienced quality palliative care (Seales reply 2 at [4(a)]). Crown evidence on this issue is all theoretical and / or speculative for patients such as Lecretia who have consistent desire for the ability to choose death. The validity of this concern as a species of benevolent paternalism is considered in Gavaghan reply at  – ). Respect for autonomy means little if a competent patient’s wishes are overridden (Gavaghan reply at ). Lecretia has capacity (Dr X at ; Seales reply 1 at ; Ashby reply at [6(a)], ). Crown evidence on this issue is theoretical and / or speculative for patients such as Lecretia who has capacity. Doctors are regularly required to assess competence (Owens 1 at , Spring at , Grube at , Ashby reply at , Kress reply at ). To the extent that doctors are unsure, they can consult specialists (Gavaghan reply at ; Ashby reply at ). Dr X is prepared to consult specialists as appropriate (Dr X at ). Typically patients who make clear and persistent requests for AID are not depressed and they do not ordinarily exhibit features of other mental illness. (O’Brien at ). It is not credible that Lecretia’s application will have an impact on palliative care generally. Ganzini reply 2 at  – : palliative care / hospice care has improved (as judged by physicians, nurses and social workers) since passing DWDA. AID is not inconsistent with palliative care (Grube reply at ). AID has not affected the nature of the service provided by palliative care, or patients’ willingness to attend hospices; palliative care has improved since AID was introduced (Kress reply at  – , Grube reply at , Reagan reply 2 at , , Ganzini reply 2 at , , ). The availability or non-availability of AID has no effect on the proportion of deaths caused by doctors’ actions taken with the intent to hasten death (Owens reply at [9(a)]. It is not credible that Lecretia’s application will have an impact on the medical profession generally. A key principle of medical practice is also autonomy, which may trump the “no harm principle” (Gavaghan at  – ; Owens reply at ). The change in the medical profession when AID is allowed is a positive one. (Kress reply at , Grube reply at , Reagan reply 2 at ). A majority of doctors in Oregon now support AID (Grube reply at , Ganzini reply 2 at ). It is not credible that Lecretia’s application is unethical. Schuklenk reply 1 at  identifies core ethical propositions, which include autonomy, and dismisss as unpersuasive the moral distinction between “doing and allowing, or between killing and letting die”. “Healthcare professionals are morally permitted to provided assisted death to patients in appropriate circumstances” (Schuklenk reply 1 at [20(e)]). Gavaghan reply 1 at  –  states that a substantial body of ethical opinion considers that AID is ethical. Medical ethics are not affected by AID (Owens reply at  – ). It is not credible that Lecretia’s application will increase the risk of suicide in the community. The suggestions that suicide figures are affected by AID is “highly speculative and are not supported by research” (Owens reply at [36(h)]), no evidence is provided for assertions relating to the Werther effect, and such assertions are “inappropriate” (Owens reply at [36(b)]; Schuklenk reply 2 at ). The suggestion that Oregon’s high suicide rate is due to PAS is unsubstantiated – in fact, suicide in Oregon decreased in the two years immediately after PAS was legalised, and Oregon had a higher base rate of suicide prior to the legalisation of PAS (Owens reply 2 at [36(f)]). It is not credible that Lecretia’s application will create negative social messaging. Patston at : “I believe that conflating the issues of disability discrimination and assisted dying is not useful for either disabled people, or for competent people (disabled or otherwise) who are suffering from a terminal illness, and are seeking the right to choose assistance to die”. Both the plaintiff and the Attorney-General gathered a wide range of evidence from experts around the globe on physician-assisted dying. Where available, the evidence referred to above is available for download below for more in-depth analysis. Plaintiff. Senior Legal and Policy Adviser at the Law Commission. Evidence on her background, diagnosis, competence, current condition and impact on her. General Practitioner practising in Wellington. Plaintiff’s general practitioner since 2004. Evidence on experience of plaintiff as a patient and willingness to assist plaintiff to die in possible future circumstances when she is experiencing enduring, intolerable suffering. Consultant Oncologist. Plaintiff’s consultant oncologist since March 2011.
suffering that plaintiff’s brain tumour can cause. Consultant in Palliative and Pain Medicine. Clinical Director of Complex, Chronic, and Community Care, Director of Palliative Care, and Chair of Clinical Ethics Committee, Royal Hobart Hospital. Professor of Palliative Care, Faculty of Health Sciences, University of Tasmania. Adjunct Professor, Menzies Research Institute. Honorary Consultant in Pain Medicine, West Suffolk Hospital, Cambridge University Hospital Trust, and Fellow of the Faculty of Pain Medicine, Royal College of Anaesthesia. whether the medically available options are likely to be able to alleviate all of the plaintiff’s end of life suffering. Professor of Psychology at University of Auckland. the inability of palliative care to address all aspects of suffering. Palliative care physician at Cranford Hospice, Hawke’s Bay. Senior Lecturer in Clinical Medical Ethics in the department of Psychological Medicine at the University of Auckland. Evidence on personal experience with premature death of patients. Evidence on experience of his late wife, and how the option of autonomous death helped her preserve dignity and control of her life, and increased the quality and length of her life. Retired general practitioner residing in Oregon, United States. National Medical Director at Compassion and Choices, and lecturer at the University of Oregon Health and Sciences University, Portland Oregon, and the Western School of Medicine, Lebanon, Oregon. Evidence on experience in dealing with patients’ requests under the Oregon Death With Dignity Act 1997 (“DWDA”) and the impact of the doctor-patient relationship. Doctor specialising in family medicine, hospice, and palliative care. President of the Western Montana Medical Society and medical director at the Hospice of Missoula. Evidence on his experience of aid in dying in Montana since the Baxter v Montana decision. Surgical Oncologist practising in Albuquerque, New Mexico, United States, and Assistant Professor at the University of New Mexico. Evidence on experience dealing with patients’ requests under Oregon’s DWDA, and the interaction between palliative care and AID. Retired general practitioner residing in Oregon, United States. National Medical Director at Compassion and Choices. the effect of AID on the physician-patient relationship. Clinical psychologist practising in Albuquerque, New Mexico, United States. Evidence on difference between concept of suicide and AID, and the New Mexico Psychological Association’s position on the same. Professor of Psychiatry and Medicine, Director of Geriatric Psychiatry Fellowship Programme, Director of Division of Geriatric Psychiatry, and Senior Scholar, Centre on Ethics in Health Care at the Oregon Health and Sciences University. Practising geriatric psychiatrist. complications following ingestion of lethal drugs. Associate Professor in the Faculty of Law at the University of Otago, and Director of the New Zealand Law Foundation Centre for Law and Policy in Emerging Technologies. the current weight of ethical option on whether there is a distinction between commonly accepted end of life practices, and FAID and AAID. Professor of Philosophy in the Department of Philosophy at Queens University, Canada, and Ontario Research Chair in Bioethics. Joint Editor-in-Chief of Bioethics journal. the false distinction between actively administered AID in prescription. Director, social commentator and speaker. Member of VESNZ and sufferer of cerebral palsy. Evidence on his views on AID, from the perspective of a person living with a disability. Director of Palliative Care at Arohanui Hospice, President Elect for the Chapter of Palliative Medicine within the Royal Australasian College of Physicians. Evidence on palliative care in New Zealand. Distinguished Professor of Psychiatry at the University of Manitoba and Director of the Manitoba Palliative Care Research Unit. Evidence on dignity in the end of life context, rational suicide and commentary on Carter v Attorney-General. Physician specialising in palliative medicine and member of the New Zealand executive of the Australian and New Zealand Society of Palliative Medicine. Evidence on the impact of AID on palliative care services in New Zealand. Consultant physician, professor of palliative medicine and member of the House of Lords. Professor of Palliative Care at King’s College, and Consultant in Palliative Care at Guy’s and St Thomas’s NHS Foundation Trust. Evidence on slippery slope and terminology used in the arguments for or against AID. Director of the Nathaniel Bioethics Centre. the impact of AID on the vulnerable. Community Palliative Care Physician at Hospice Palliative Care Service, Christchurch and Chair of ANZSPM Aotearoa, the New Zealand section of the Australian and New Zealand Society of Palliative Medicine Inc. Evidence regarding palliative care on behalf of ANZSPM. Senior Staff Specialist in Palliative Care at HammondCare, North Sydney and Honorary Medical Officer in Palliative Care at the Royal North Short and Ryde Hospitals. Evidence on palliative care in New Zealand, the ability of palliative care to treat pain and suffering, and the adverse implications of allowing AID in New Zealand. Consultant psychiatrist and palliative medicine specialist at Christchurch and Burwood Hospitals in Christchurch. Evidence on the role of psychiatry and psychology in palliative care, the concepts of dignity, intolerable suffering and autonomy in end of life care, suicidal thoughts and tendencies in terminal patients, and the difficulties in assessing capacity and competence. Professor at the University of Namur and Dean of the Faculty of Law. Evidence on euthanasia laws and the Belgian experience. Consultant Physician in Palliative Medicine, Marymount University Hospital and Hospice, Cork University Hospital, College of Medicine and Health, University College Cork. Evidence on palliative care in Ireland and generally, palliative sedation, and the impact of AID on society. Palliative care nurse specialist at Wellington Hospital and Chair of Palliative Care Nurses New Zealand Society Inc. Evidence on the impact of AID in the context of palliative nursing. Chief Executive of Hospice New Zealand. Evidence on hospice services in New Zealand. Group Manager, Personal Health Service Improvement, in the Sector Capability and Implementation Business Unit of the Ministry of Health. Evidence on the planning, funding and delivery of palliative care services in New Zealand. 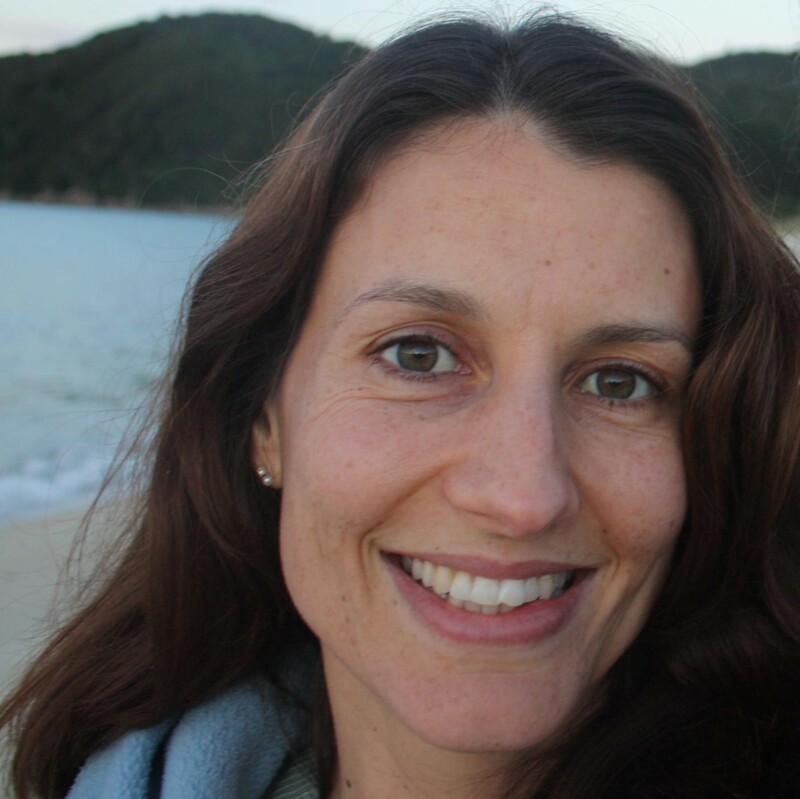 Research Fellow at Taupua Waiora Centre for Maori Health Research, National Institute for Public Health and Mental Health Research, AUT University, Auckland. Evidence from the perspective of a person living with a disability, and as a founding member of Not Dead Yet Aotearoa. Wendi Hicks is co-manager of The Disability Clothesline and a registered celebrant. Robyn Hunt is the founder of AccEase and co-manages The Disability Clothesline. Both were founding members of Not Dead Yet Aotearoa. They give evidence on human rights for people with disabilities, and the impact of AID on people with disabilities. Dr Jack Havill President of the VESNZ. Evidence on the purpose of VESNZ and the society’s views on AID. Professor of History at McMaster University, Ontario. Author of the book Sorrows of a Century: Interpreting Suicide in New Zealand 1900-2000. Evidence on the prevalence of premature death in New Zealand, based on detailed research of coronial files 1900-2000.